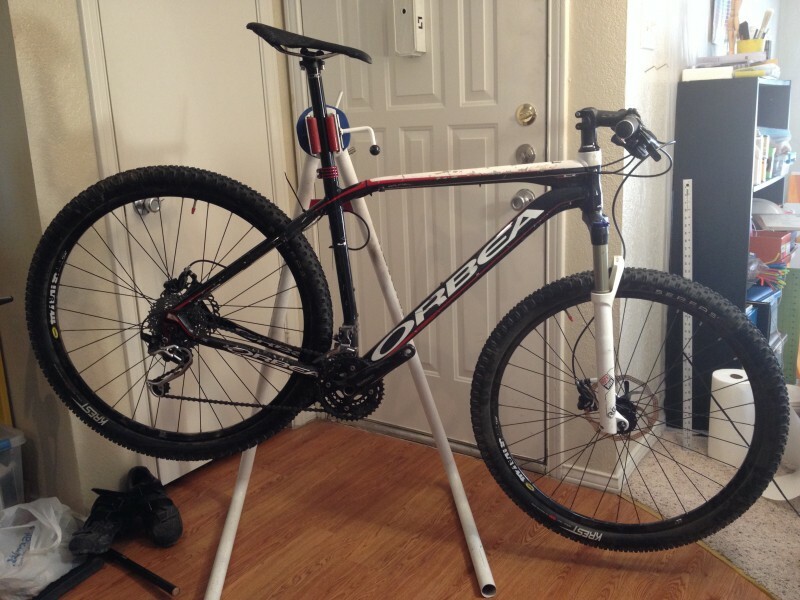 -Large (20") 2011 Orbea Alma H50 29er mountain bike. Frame is not in the best of shape, but all the parts function well. There are some serious scrapes and scratches on the frame and the fork, but the frame is still structurally sound and the fork performance doesn't seem to be impaired (still cycles well and smoothly). There is some squealing and vibration that comes out of the rear brake. Not sure what it the cause. I re-greased the rear bearings and replaced the rotor, but the vibration is still there. Email with any questions. Reply with phone number for faster text message response.